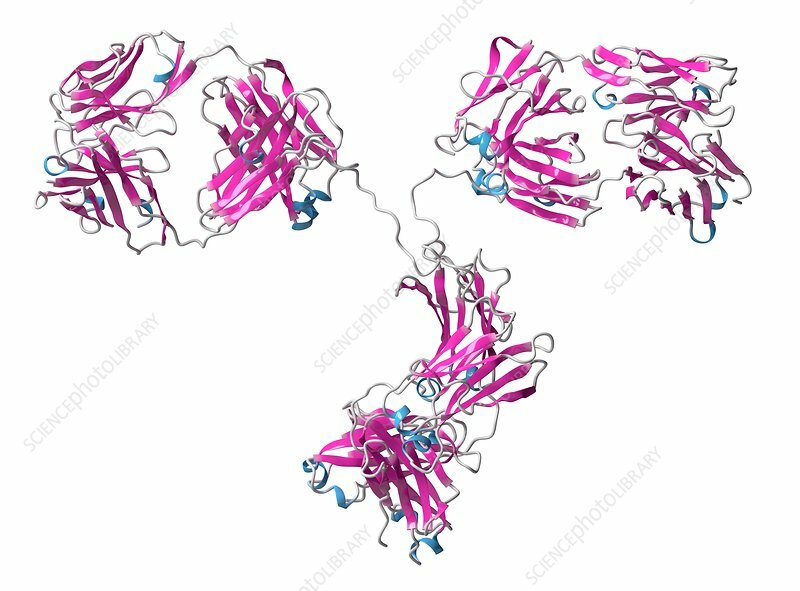 IgG2a monoclonal antibody (immunoglobulin). Many biotech drugs are antibodies. Cartoon model, secondary structure colouring (helices blue, sheets pink).